The courts continue to be busy issuing significant Endangered Species Act (ESA) rulings. In the latest one, issued in early April, the U.S. District Court for Montana, Missoula Division, in Defenders of Wildlife v. Jewell, et al., vacated the U.S. Fish and Wildlife Service’s withdrawal of its proposed listing of the North American Wolverine as an endangered species in its 85-page opinion. 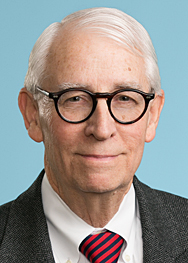 The opinion includes a very interesting account of the Service’s internal struggles to grapple with the import of this listing, and the reliance it placed on climate change modeling, which generated considerable criticism.These decisions are always noteworthy because of the implications on development projects. One such implication is a listed species must be considered in federal permitting matters. 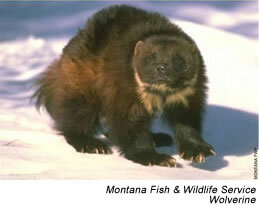 average home range of 588 square miles in central Idaho, 193 square miles in Glacier National Park, and 311 square miles in the Greater Yellowstone region.” The District Court noted that “[t]he effort to list the wolverine as a threatened or endangered species began over twenty years ago, and has continued unabated since that time,” until recently. Ultimately, the District Court held that the decision to withdraw this proposed listing was unduly influenced by “immense political pressure” brought to bear on the Service, and its regional offices by a handful of western states. Moreover, the comments made by a regional director of the Service who was asked to participate in the internal reviews and who criticized the climate models were nothing more than “an unpublished, unreviewed, personal opinion” and were given undue weight. Several energy interests intervened, but the court dismissed their basic argument that the ESA cannot be interpreted to protect subspecies (such as the North American Wolverine) were “unnecessarily and insupportably restrictive”, and “defies logic.” Accordingly, the District Court ordered the Service to reconsider its decision.